In my last post I described my efforts to produce programming that I think Millennials could enjoy. 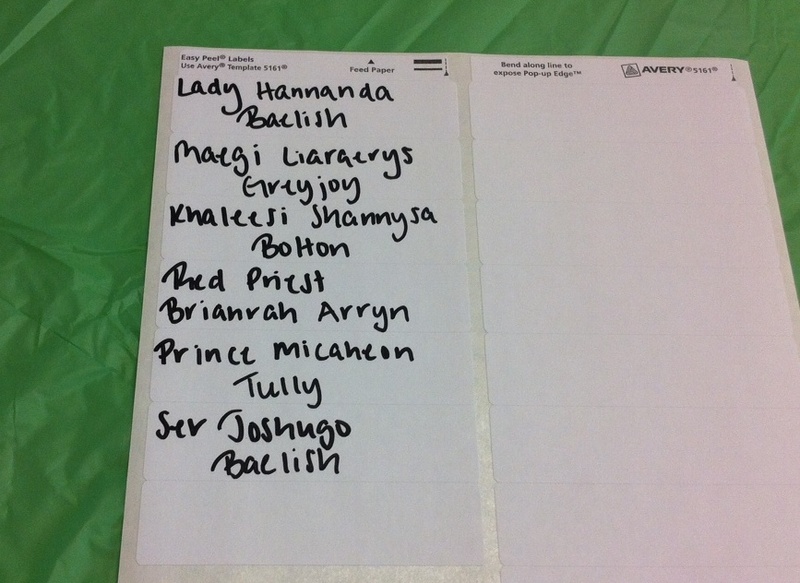 While brainstorming ideas over the summer, I came up with two: a Pinterest Party and this Game of Thrones Un-Book Club. While thinking about activities that I might include, I had this thought: what if I went about an adult program in the same way as a kids’ or teen program? Which is crazy talk, of course. Adults want to be treated in the same way, but…in theory, there were lots of ways to make staple activities of youth programs into more mature activities for adults. In this incarnation of a classic station, I just went with more mature foods. Red velvet cupcakes were labeled, “Red Wedding Cupcakes,” lemon cookies were labeled, “Sanza’s Favorite Cookies,” and those mini-pastries were called, “Joffrey’s Humble Pies.” (Because it’s a pie that kills him. Get it? I’m awesome.) Sparkling red grape juice was also served. On the edge of table where you enter the programming area, I laid out a sheet of names that I got from a GOT name generator. On two iPads, I brought up a website for a “Which House are You?” quiz. Finally, I had a long list of quotes from the books and the show that could be used for guessing which character said it. 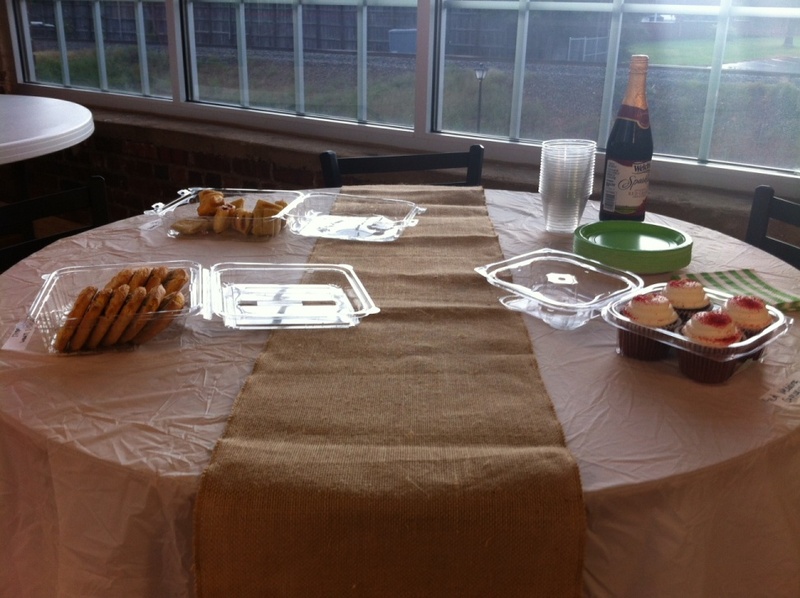 I was really looking forward to just geeking out over some simple activities and snacks, but, sadly, no one came. It happens a lot with adult programs at my branch, so I wasn’t shocked and I chose activities that wouldn’t take much time to prepare because of this possibility. I hope someone may be able to use the ideas.